Just in case if you wake up in the morning and see your mobile phone flooded with messages about pending medical bills or due insurance EMI, you would start wondering about the best loan options available using which you get instant cash. And if your friends or any relative is not willing to help, you might think of applying for payday loans. So are you finally thinking to apply for payday loans right now just because you don’t have cash? Do you have some financial obligations and you can’t wait till the next payday to fulfill them? But do you know everything about these quick or fast loans? There are many facts about these loans that you would not know. Let’s have a look at some of them. Payday loans are short term unsecured loans that provide instant cash to borrower on a condition that latter has to repay it on his/her next payday along with interest, which is generally high. In the meantime, if the borrower fails to pay back the debt, he/she can apply for extension of deadline. However, it must be kept in mind that the borrower would have to pay double amount of interest along with some additional charges while repaying payday loans. The objective of payday loans is to help one fulfill unforeseen financial requirement. There is no paperwork involved in these loans and so there is no hassle. So whenever you face an emergency, you can apply for these loans and use the money. The money lending firm would provide you loan ranging from $100 to $1500, depending on the amount you need and the salary you are drawing from your current organization. Notably, payday loans are designed for salaried people so that they can avail them during the need of hour. People working in an organization for more than six months can easily apply for payday loans after providing information regarding their job and last paystub as well. The borrower would also have to inform the lender about his/her salary. As soon as the application is verified, the cash gets credited into the borrower’s account. When should an individual apply for payday loans? Are you eligible to apply for payday loans? Is availing payday loans the only solution to manage current condition? Can’t the purpose for getting payday loans be delayed? Would it be possible for you to repay the debt within 2-4 weeks? Is your bank account active? Would you even save your salary if you pay back the loan along with lending fee by the due date? By visiting the payday loan lending company in person- If you have made up your mind to apply for these loans, you must start looking for a reliable lender in your vicinity. After this, visit the company store and fill in an application form. You would have to provide all the essential details along with photocopies of required documents. The process would take a few minutes and cash would be credited to your account within a few hours. One of the best aspects is that most of the lenders are open for 24 hours and seven days a week so that borrowers can avail loans at any time. Apply online- If you don’t have enough time to visit the company and follow the procedure, you can easily fill in the form by logging on to company’s website. This can be done from anywhere and at anytime. Whether you are sitting at home, working in office or just travelling, you can comfortably fill the application form and provide the lender all details. Apply on phone- Most of the money lending companies also gives an opportunity to the borrowers to contact them via phone and apply for payday loans. All you would have to do is call the firm and its executives would extend all possible help in filling the form. You can then send the documents via mail or fax. In the application form, you will have to provide the lender with your personal information, employment details as well as bank account information. Once you complete all the formalities, the lender sends your documents to higher authorities for further verification process. After they are verified, the required amount would get transferred in your bank account within 24 hours. Call a few money lending companies and determine their interest rates as well as other charges. A comparison can help you choose an appropriate money lending firm. Find the most renowned and experienced payday loan lender. Find out if the firm is charging any hidden charges. Make sure you fulfill the eligibilities and have all the required documents beforehand. Read out testimonials and feedbacks given by borrowers on the money lending company’s website. They would give you a fair idea about the reputation of the company. You can also refer to a complaint section to know if any complaint is registered against the money lending company by a borrower. Make sure that the company keeps all your personal as well as professional information under wraps and confidential. Read all the terms and conditions of the money lending company carefully. Once the contract is approved, you can also read it before signing it. Do not fall prey to advertisements of lenders that claim providing you payday loans within 10 minutes or so. These advertisements can misguide you as there are any hidden charges about which the lender generally doesn’t share. You can also refer to your peers or acquaintances and ask them for advice. They may be knowing about the best money lending firm where you can apply for payday loans. Bank overdraft- You can ask your bank to provide you overdraft facility so that you can use the money to fulfill some of your financial emergencies. Credit cards- if you have a credit card, you can pay pending bills or insurance EMI easily by using them. However, rate of interest charged on the amount must always be kept in mind. Personal loans from banks- Financial institutions like banks provide personal loans, on which the rate of interest is not so high. At the time of need, you can avail them and use money accordingly. Borrowing money from friends or any family member- This is one of the best options when you need some amount of money. Your friend or relative would neither charge high rate of interest nor have strong deadlines. However, in this case also, you will have to be very careful so that the relations don’t strain. Ask for loan from credit unions- If you are a member of any credit union, you can ask them to provide you loan. They don’t charge high rate of interest and don’t have any hidden charges. 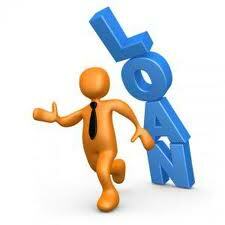 Once you finally apply for these quick loans, it is very important to know the pros as well as cons of these loans. Some of the advantages of payday loans are that they are easily available and convenient to apply, there is no waiting time or queues, all you have to provide the lender is your employment proof and identity proof, the process is hassle free and doesn’t require much paper work and of course, the loan amount gets deposited in your account the same day when you apply. Some of the disadvantages of payday loans are that they are available for small amount that is up to $1500, you would have to pay back the loan with high rate of interest and if you use the debt for any casual reason, you may find yourself in a problem. So it is crucial to take the right decision regarding payday loans in a bid to not fall in a vicious trap of these loans. Meanwhile, there are many companies that provide payday loans to people. But as said above, it would be the right decision to avail these unsecured loans from a creditable organization. While you are searching for them, determine if the lender allows you to pay back the debt in easy installments and is the procedure to apply for these loans simple? Even though most of the lenders provide loan within a day, there are companies which transfer the loan amount within an hour or so. You must know that the contract details and terms and conditions would vary from one lender to another. So it is advisable that you go through them so that you don’t feel trapped in the end.